Now that I’m between projects, I wanted to use this time to finally test out this Acrylic Ground for Pastels made by Golden that I bought a few months ago. My true plan is to see how well it works with gouache paint. 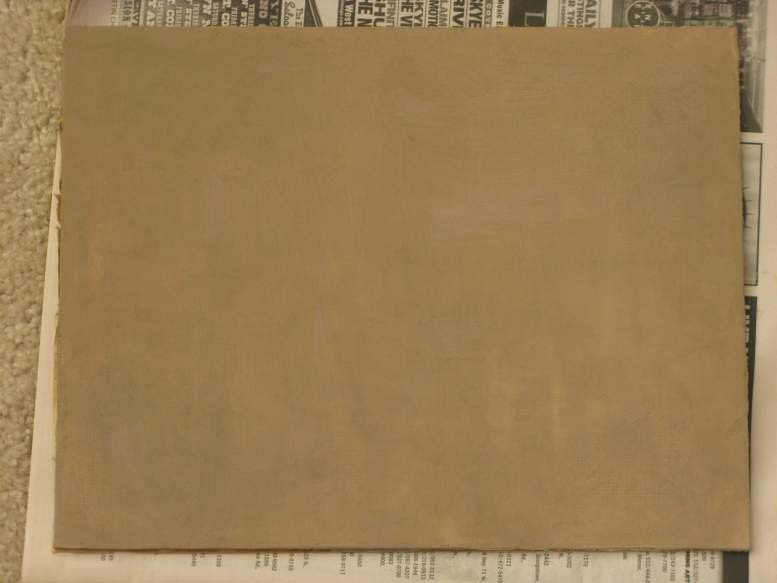 As a test panel, I used a scrap piece of hardboard, 8.5 x 11″. It had a little dried white acrylic paint rubbed into the surface, but I figured that wouldn’t be a problem. First I sized the board with a couple coats of GAC 100 medium to keep anything in the wood from leaching up to the surface. You’ll notice in the photo above that the ground is somewhat gray and translucent. 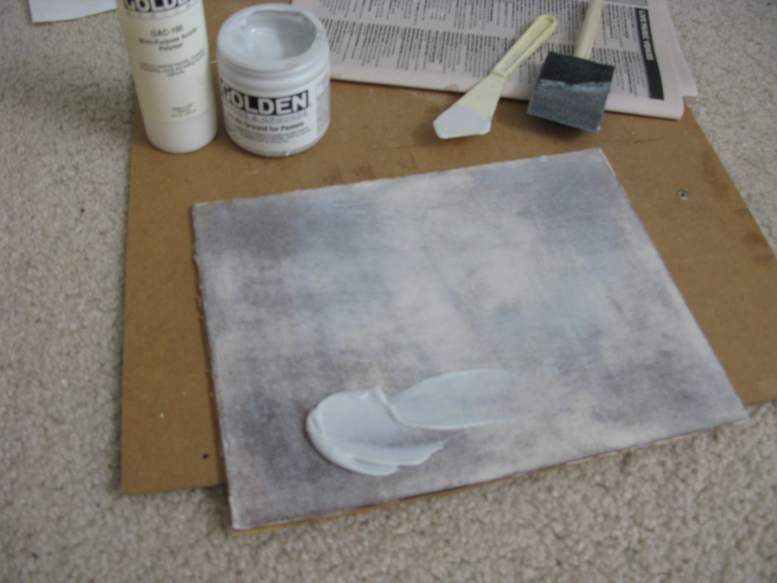 It doesn’t have any pigment in it, like an acrylic “gesso” ground. 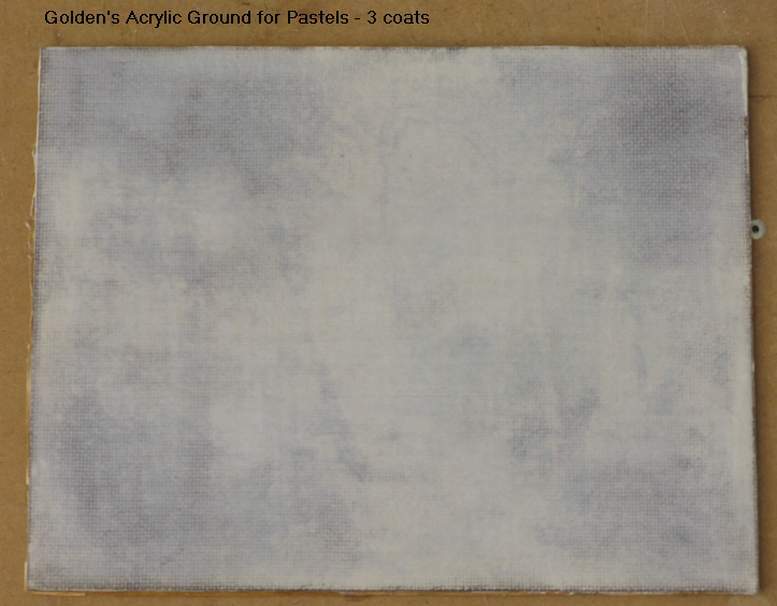 That gray color is from finely ground silica that gives the surface some tooth for pastels. The label instruction says to not thin it with water more than 40%. 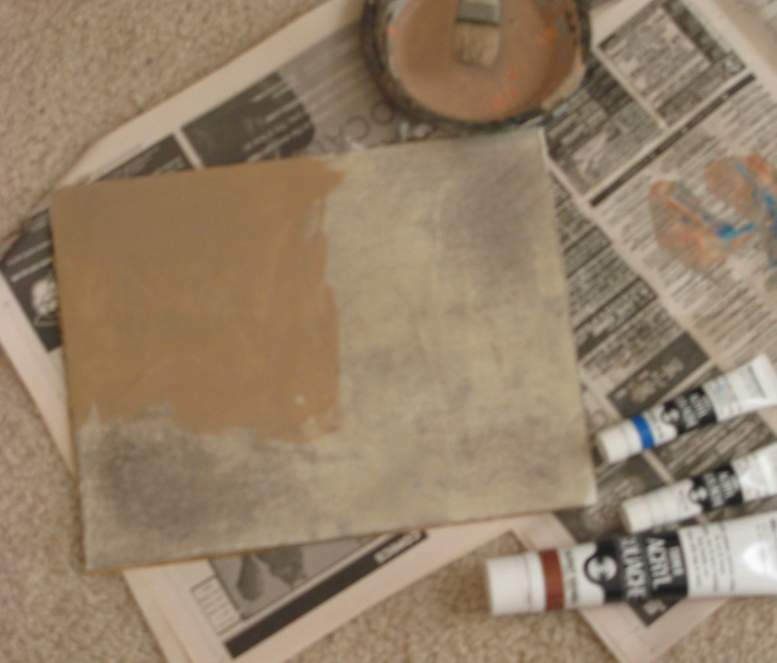 This photo shows what it looks like with 3 coats. The first two coats where not very thin, maybe 10-20%. The last coat was thinner. I noticed that the brush left behind a few small gouges in the surface caused by some larger particles of silica, so I dug that out and filled the tiny holes with undiluted ground using a palette knife. I wouldn’t want to do that with a true gesso surface, but with this acrylic medium it isn’t a problem to patch it that way. I suspect that if I had waited for each coat to dry longer and harden, it wouldn’t have had those gouges. I wanted to even out the color a bit, so I mixed up a thin wash of acrylic “gouache.” This will be porous enough for regular gouache paint that won’t lift. The final result I left a bit patchy, but that’s okay. Now comes the fun part of figuring out what to paint on it.